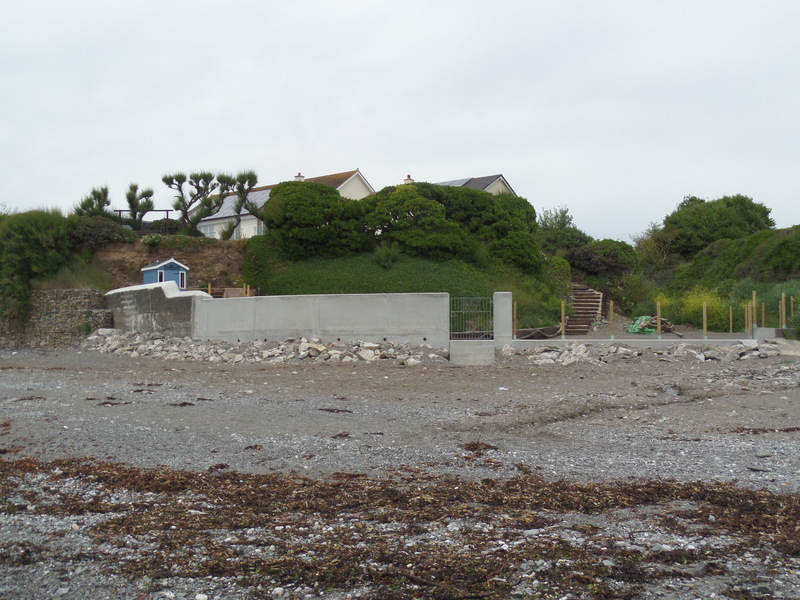 Another casualty of the winter storms of 2014 was this privately owned sea wall located on the beach forming a garden boundary. 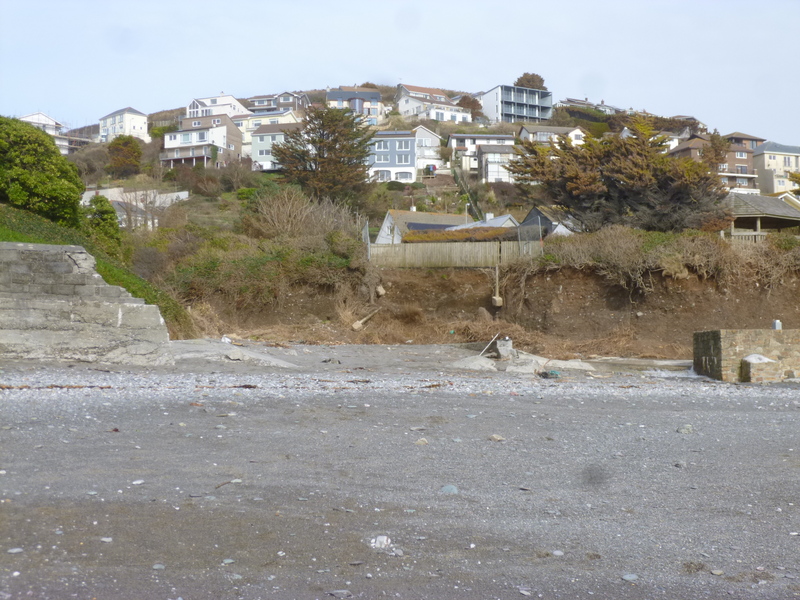 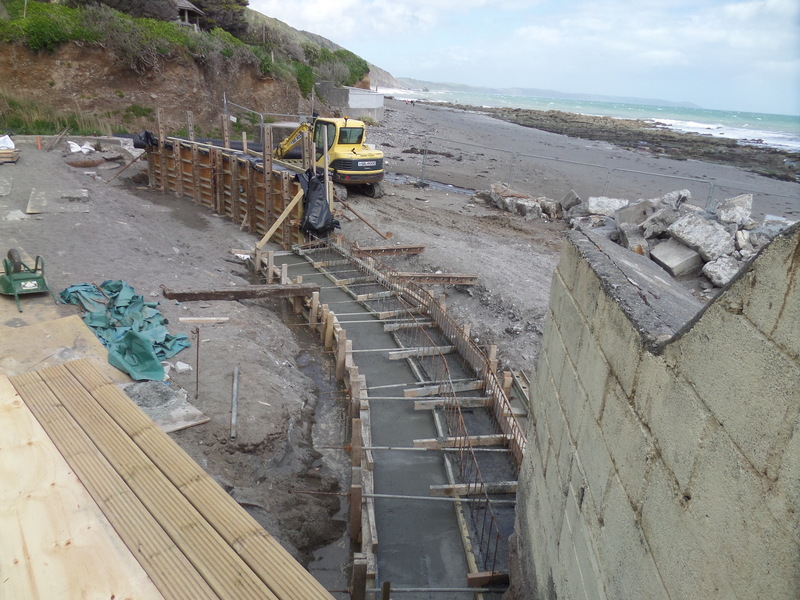 Most of the old concrete structure was demolished by the waves, leaving only a short section standing. 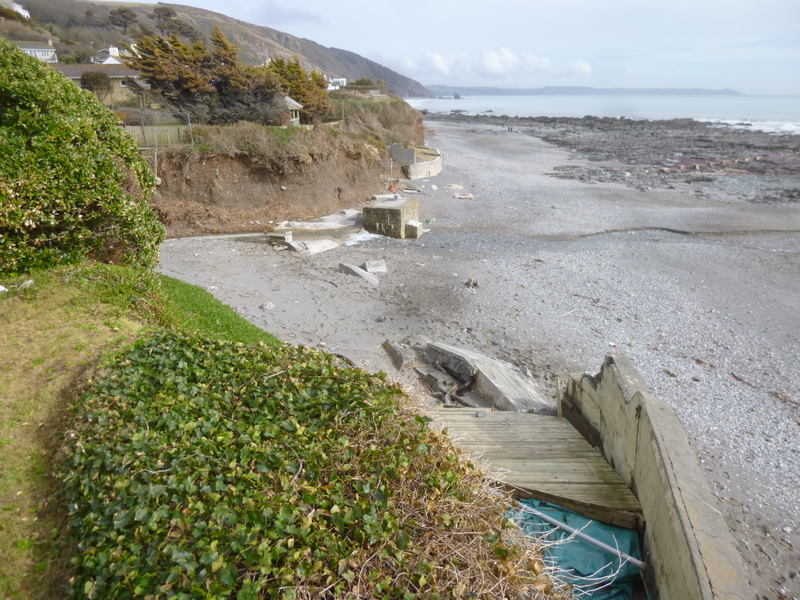 Behind the wall, decking, steps, retaining features and a summerhouse were also badly damaged or completely washed away. 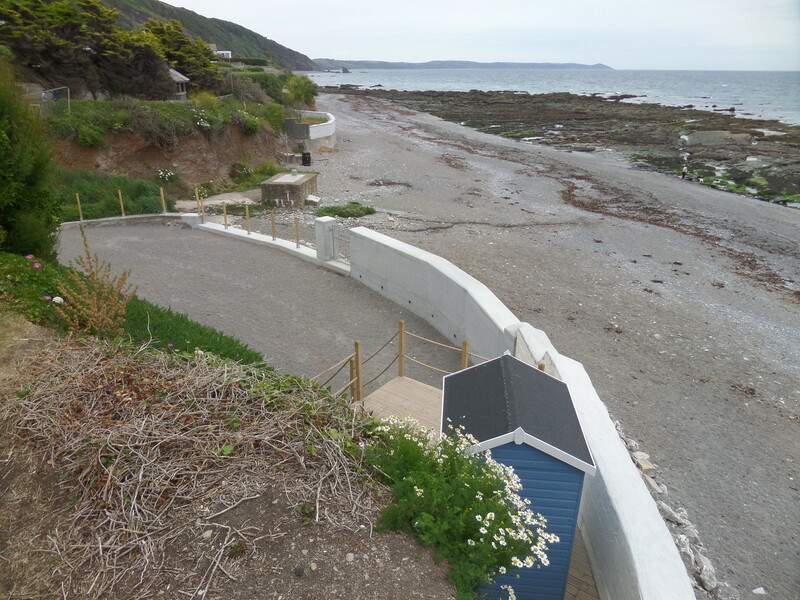 Although the start of the works was delayed due to seasonal weather and the prospect of further storm damage, the contract was completed on time and within budget to reinstate this usable area of the property.